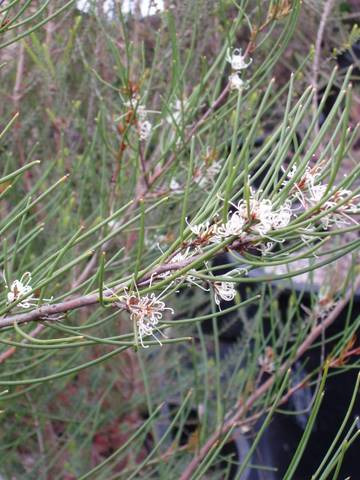 Medium to tall shrub with rusty new foliage, long needle-like leaves and white scented flowers. Hardy to drought and heavy frost. 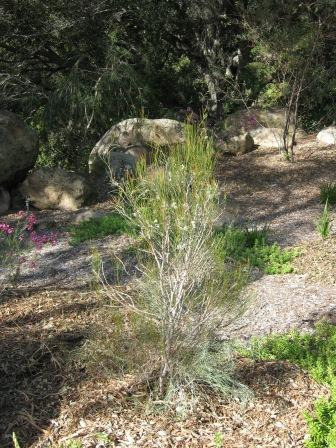 Requires well-drained soils in full sun or partial shade position. Grows well in slightly alkaline soils on the coast or inland. Good informal screen or windbreak.